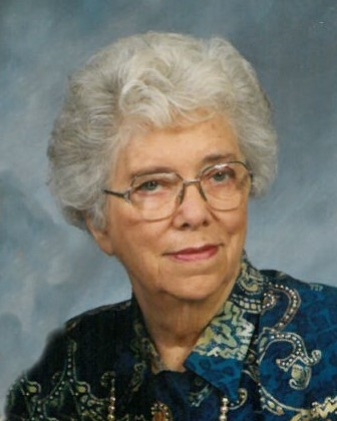 Lena Howard Gibson, age 90 of Troutville, died Wednesday, December 5, 2018 at her home following a period of declining health. Lena was born in Roanoke April 11, 1928 and lived in Botetourt for most of her life. She was the daughter of the late Earl C. and Mary G. Jonas Mitchell. Lena enjoyed playing cards, especially Hand & Foot; loved to travel, and enjoyed crocheting and sewing. She was a member of Troutville Baptist Church. Lena worked at Roanoke Orthopedic for more than 30 years and worked several days a week at Lucas Therapies in retirement. In addition to her parents, she was preceded in death by her husband of 67 years, Dana L. Gibson and is survived by her daughter and son-in-law Mary and Ted Westmoreland; granddaughter and her husband Michelle and Mark Gill; great-granddaughter Casi West all of Troutville. Funeral services will be 10:00 am Saturday, December 8 at Troutville Baptist Church, 5520 Lee Highway Troutville with Pastor Carol Johnston officiating. A private burial will be at Sherwood Memorial Park. Lena’s family will receive friends at Rader Funeral Home, 630 Roanoke Road Daleville, Friday 6-8pm. Memorial contributions may be made to Troutville Baptist Church, PO Box 309, Troutville, Virginia 24175. Online condolences may be made to Lena’s family at www.rader-funeralhome.com.